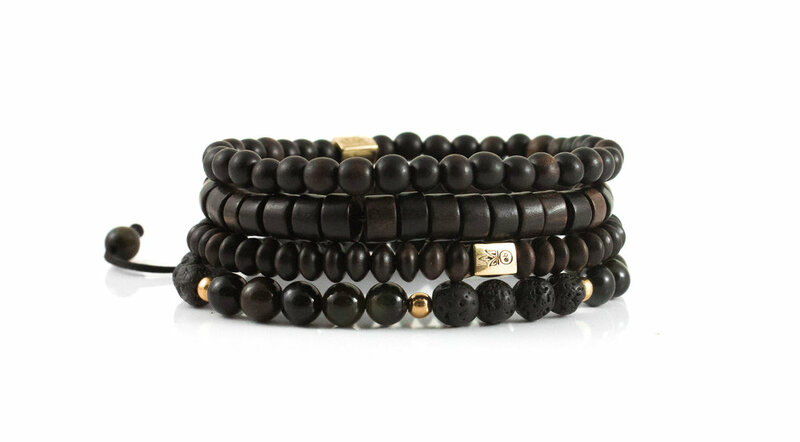 The Micro Stack comes with FOUR unique bracelets featuring 6mm Lava Rock, Ebony Wood, 14K Rolled Gold, and Blue Tiger Eye Stones. One adjustable bracelet and Three elastic cord bracelets make this set perfect to stack together or with a complementing watch. All enbois pieces are hand-made and inspected by our team after production. This product comes with a 1-Year Customer Care Warranty.